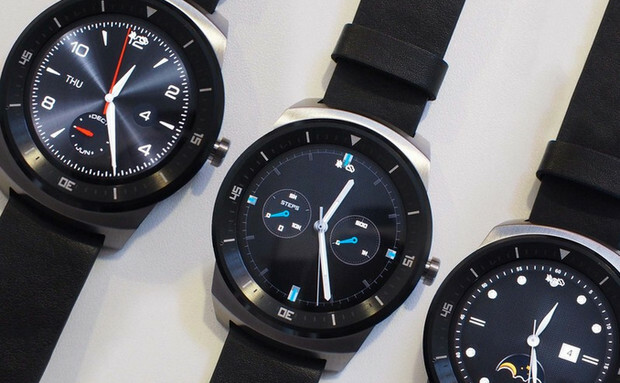 Although there’s still a long way to go until smartwatches reach their full potential, the new model from LG seems to considerably improve on the efforts thus far, with the analogue-styled device managing to combine the looks of a decent timepiece with the power of Google’s Android Wear OS. It’s early days of course – only a few journalists have managed to have a quick play with the watch so there’s no test results through yet – but the early signs are this is something that a ‘normal’ person may wear. Measuring 46.4 x 53.6 x 9.7mm, the 1.3-inch (diameter) P-OLED, 320 x 320 (245 PPI) display looks sharp, bright and – crucially – readable in daylight, serving up a 300 nit luminance. Rather conveniently, the LG has IP67 certification for water and dust resistance, so it’s a watch you can take anywhere. Around the back there’s a PPG heart-rate sensor, and any standard 22mm watch strap can be attached. The watch talks to your Android phone over Bluetooth 4.0, but battery concerns mean that there’s no GPS onboard, with the watch getting its location from your paired handset. There’s dozens of nicely designed watchfaces to chose from, and the display can also show health, fitness and walking information. One of the biggest concerns is battery life, so to save power, LG’s always-on device switches to an “Ambient Mode” five seconds after your last interaction with it. This changes the watch display to that of a black face with white arms, means that it will only draw 13mW of juice compared to the standard 130mW when the display is on full. LG say that users should expect an average of a day and a half’s usage from the onboard 410mAh battery. There’s no wireless charging though, and the watch comes with its own proprietary bespoke charging cradle. Well, quite a lot. 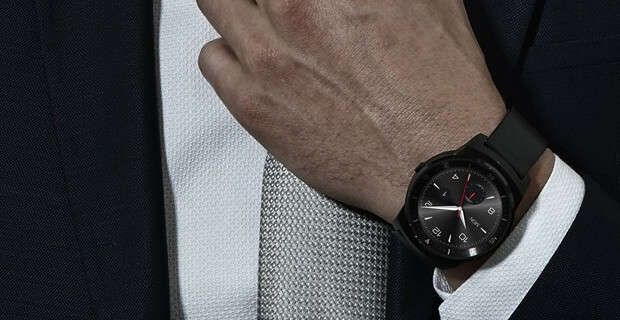 The G Watch R comes with a built in mic, so you can fully access Google Now functionality with voice control. Tapping the screen lets you check email, Twitter, Facebook, music controls, SMS messages and turn-by-turn navigation, as well as having al those useful context-sensitive Google Now screens to swipe away. Launching next month, there’s no announced price yet, but we reckon you’ll be looking at something around the £180 and upwards mark.